When I was younger my dad and grandpa built my brother and I a play house over our sand box. It was so awesome! 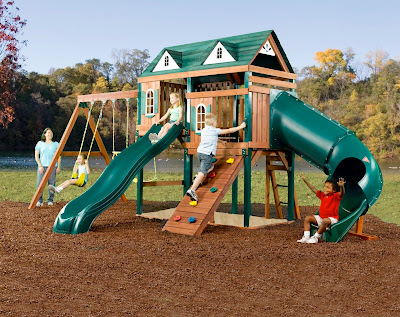 So when I saw the Sycamore Play Set by Swing-N-Slide I fell in love with it. It combines a play house and a swing set with two slides and a climbing incline. This play set is absolutely everything I would have wanted as a kid. I miss playing in the play house my dad and grandpa made for me, but I know it is making another little girl just as happy as I was. 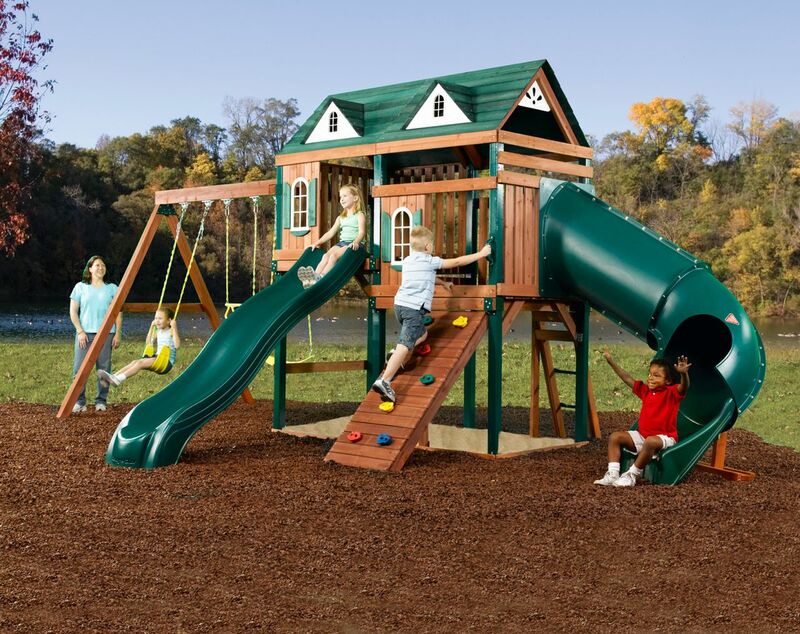 The Sycamore Play Set is definitely a play set that will bring hours of fun to your kids!